Self-publishing is a rewarding, empowering experience, and a great way to get your message out there to a (potentially) limitless audience. When done correctly, self-publishing can be a way to grow your business, meet new and exciting people, and can open up a world of opportunities. While there are some things you should definitely invest in (a good editor and cover designer are at the top of the list), self-publishing—and even self-promotion—doesn’t have to cost an arm and a leg. But over the years, many people have caught on to the benefits of self-publishing. In fact, every five minutes, a new self-published book appears on Amazon. So how can self-published authors become their own most valuable publicity tool—without breaking their bank account? In this article, 11 savvy authors weigh in on how they’ve made their books stand out in a crowded marketplace. Julie had one of her books, The Chocolate Therapist: A User’s Guide to the Extraordinary Health Benefits of Chocolate, picked up by Wiley after her speaking efforts paid off. From the book, Julie has even grown her own chocolate brand and eventually bought the shop that was making it—starting her own chocolate company. “It sounds so glamorous but really, I did not have any experience. In fact I didn’t even know how to make chocolate when I bought the shop. I only knew that I just wanted to make all-natural products, free from dyes and preservatives, and that has worked out very well over the years, and of course helped sell more books. “I started by buying a radio-show contact list from a local businessman and sent postcards about my book to all the radio stations. I also started to speak about the health benefits of chocolate to help sell my book as soon as it was done. And just to note, I was NOT a professional speaker—I had to learn how to do it. I hired a speaking coach to help me get started (a local radio host helped me for $30, so not very expensive as I was a broke author!). This resulted in more speaking engagements because people were hearing me on the radio, and then the TV news stations started to call to have me on the news. After five months of speaking and appearing on local media, I contacted several cruise companies to see if I could be a guest lecturer on cruise ships educating people about chocolate. I ended up taking one to three cruises a year for quite a few years, traveling all over the world with my self-published book. Kelli’s first children’s book, Sleepy Toes, was self-published before it was acquired by Scholastic in 2015. Re-released in February 2017, the sweet good-night story that was written in honor of her late grandmother is now a bestseller on Amazon. “I think the thing I did to most effectively promote the book when it was self-published was to make it a personal project, one where I really connected with the material and one where I knew my audience would too. “I was able to create a goodnight story that really resonated with people, and had a story behind the story. For me, I think that is key for the success of any book—connecting with your audience and not gimmicky marketing. Just tell a really good story, one that you are compelled to write and know within the depths of your soul that you have to tell. People often get wrapped up in the promotion and packaging of their materials that they forget one key critical thing—they have to tell a good story! When Chris brainstormed ways to make One Eyed Jack—his debut crime novel about a professional blackmailer—stand out from the crowd, he decided to do a book trailer. But rather than your typical slide-show trailer, he created a two-minute video that has the look and feel of the opening scene from an edgy television show. “The video took two days to produce and cost over $2,000. I had to hire actors and a cinematographer, secure a location, and purchase over one million dollars in liability insurance. I wrote, directed and starred in it. So far the video has more than paid for itself in book sales, and it also led to the book and the character being optioned for a feature film. “I used social media to share it—that’s nothing new. I also put the link into my email signature, which has enabled anyone I write to on any topic to learn about my work and check out the trailer. Attraction to the cover design. Reading the book blurb on the back. Opening the book and reading a couple of pages. “By placing the QR code on the back cover, the reader can click on it with their smart phone and immediately go to the trailer and view it. If as they say, ‘A picture is worth a thousand words,’ how many is a video worth? Amanda is the indie author of two books (a contemporary romance called Charmed by Charlie and a paranormal romantic suspense novel called Mind Waves). Although the books are of two different genres, her marketing approach has been similar for both. When she hosted events, she brought framed posters of the book covers, and she put together a raffle basket working with the venue with both of us contributing prizes. With Mind Waves, because the book featured beach glass as a main element, Amanda made beach glass candy to giveaway at launch parties and giveaways. She also used her personal seaglass collection in displays at events and gave away a piece of seaglass with every purchase. With Charmed by Charlie, she made themed paint chip bookmarks use as giveaways. James is the author of three collections of poetry, a collection of short fiction and two novels. His latest novel, Edge of the Wind, was published in November 2016 by Stephen F Austin State University Press. “I worked closely with the publisher to have galleys printed three months in advance. I then contacted newspapers, magazines and blogs to see if they were interested in reviewing the book. This paid off for me as a review of the book appeared in the Dallas/Fort Worth Star Telegram and other publications. Robert wrote The Barrows Popularity Factor, a business booklet about some easy-to-use advertising math he developed, in 1996. Because the math can be used help all kinds of businesses make a lot more money, he focused his advertising on the business world. “I mailed the book to the business editors of about 100 major dailies. After that, I ran ads about it in several publications. I also sent out a lot of letters about it to various businesses. “I did a radio ad about it and I sent out several press releases about it. Len has written seven books, and two of them are self-published. He is currently in the process of promoting his indie book, Buddy and Bea, which is a picture book about the circle of life. It is also the story of his life as a child, and having his father pass away eight months before he was born. He is excited to promote a book that means so much to him, as it honors his parents. A small percentage of each book sold will support the Boys and Girls Clubs. “The one thing that was successful for me was to get the book into the hands of the media before it came out. Sometimes, it is hard to get it to the media early enough. But, what I did was turn each page into a PDF on my computer, then turned it into a flipbook using a free program that created the book online. Then, I simply sent the link to media outlets where they could read the book, and then write about it. It was very successful for me. USA Today bestselling author Barbara Devlin writes heartfelt historical romances that feature flawed heroes who may know how to seduce a woman but know nothing of marriage. And she prefers feisty but smart heroines who sometimes save the hero before they find their happily ever after. “Preorders are an essential tool in marketing a new release, because an author cannot book ads without a book link on a major retail site. If an author waits until a new release debuts to begin booking ads, most if not all of the major advertising sites will be booked far in advance. “Preorders also enable authors to schedule blog tours. A blog tour is useless if the feature doesn’t include buy links. I also try to secure a feature in a major online publication, such as the HEA blog in USA Today, because the column has a huge following. books. He blogs at SME Pals, a website dedicated to helping entrepreneurs and startups thrive. books online and received alerts when they experienced changes in pricing and sales. RankTracer is an accurate, hourly Amazon sales and price tracker, which is easily sharable. “Sharing good news about how well other authors’ books are selling is a great way to establish a relationship with them (and their audience) BEFORE your own book is published. “It works particularly well on Twitter because influencers readily monitor mentions of themselves on that platform. Twitter is also succinct and makes it easy to share attractive sales and price charts, making it a very compelling, bite sized read. Basically, we offer them a shareable way to promote themselves—which is what everyone, even established influencers, are after. Joe Alton, MD, and his wife Amy Alton, an advanced registered nurse practitioner, co-authored The Survival Medicine Handbook: The Essential Guide for When Medical Help is Not on the Way. They took an unusual premise (that a disaster had happened and the average citizen had become the highest medical resource left) and looked for people who could accept that possibility. Then, they demonstrated their worth to these potential supporters. Their website is now approaching 1000 articles, podcasts, and videos on a multitude of medical preparedness topics for disaster relief, wilderness enthusiasts, rural homesteaders, and others. “Even though disasters like this had happened in the recent past (Hurricane Katrina), only a small niche considered disaster planning at all. I found a number of events throughout the country in the outdoor survival genre and offered to speak, free of charge, regarding what to do for injuries and illness when the ambulance isn’t just around the corner. This was a great way to support the book and reach out to my audience, and we’ve been traveling the country ever since. Our books have sold over 100,000 copies and we are often asked by media to comment on natural disasters and other events. Rhett Grametbauer drove his 1967 VW Bus, Hail Mary to every NFL stadium in 16 weeks to film the documentary 25,000 Miles to Glory. The film premiered at the Palace Theater in Canton, OH and has been covered in Sports Illustrated, New York Daily News, Roadtrippers, and other blogs. …He has also written a book about the experience that has sold out twice on Amazon. Creating a following—while writing and filming! “How did my book sell out on Amazon? It was because I was marketing the book during the trip, making connections with football fans, lovers of the VW Bus, and the great American road trip. “Essentially, I created a following of people who could spread my story better than I could. “I also started writing for blogs and giving away content. Not the same content you would find in the book but stories tailored to specific blogs and to certain audiences. This got people interested and wanting to know more about 25,000 Miles to Glory. I offered to go on any podcast that would have me, to talk about the book before it was released. I used LinkedIn and openly connected to people that I thought might be interested: other authors, people working in sports, and anyone who could identify with my story. Most of them connected with me. Finally, on my website I gave a chapter of the book away for free. “These are things that can be done by any author regardless of the subject of their book. An author can create a website, give away a chapter of their book to create a mailing list, and advertise for little to no money on places like Facebook. Anna Renault is a survivor of multiple cancer types—as well as a few other brushes with death. Having faith in God to help her through has helped to keep her attitude positive. When chronicling her eight bouts with cancer, she was sure to connect with anyone who might be interested in her journey. This included family, friends, co-workers, neighbors, and of course, nonprofits. “As soon as I got the jpg file of my book’s cover, I started adding it to the bottom of every email I sent. Everyone who commented got added to my email list for a notification that the book published. “I also started connecting with various cancer groups—non-profits, Relay for Life teams—everyone I could think of, setting up fundraisers for them and book signings for me. “One of the biggest fundraisers arranged was for my church. Members of the church were happy to support both me and the church. The book has reportedly been an inspiration to many. Several church members have come back to buy more copies when someone they know gets diagnosed with cancer. If you still need convincing that advance marketing is important for your book, you may be interested in the story of Roman Lillie. This self-published author’s book is well written and interesting (I’ve just bought it and started reading it! ), but she unfortunately did not do anything to publicize it in advance. The memoir, Hollywood Insanity, is a non-fiction account of being a black woman working her way up and dating in the famed Tinseltown. If you’re creative enough to write your own book, chances are that you’re also creative enough to market it. Just make sure that you identify your target audience early on and tailor your efforts to them—and of course, start marketing while you’re still writing. Hopefully these authors’ tips have helped to get your own creative juices flowing! 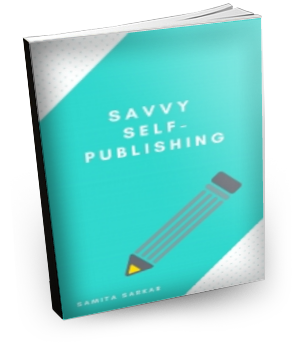 Subscribe for our free ebook, Savvy Self-Publishing, chock-full of tips on how to register your publishing imprint, polish your manuscript, approach agencies, and even analyze a publisher's contract (snippets from a real contract included).